Trudy Fleming has been in the hair removal and skin treatment industry for 40 years. She has not only been in this field all her life [apart from a few early years studying physiotherapy], but she has kept herself at the forefront of her profession by constantly furthering her education. In the early days, the only form of successful hair removal was electrolysis. Trudy became a specialist in this field and went on to become the head electrologist in Harrods, London. There she treated British aristocracy along with sports stars and the nouveau riche. While in London she also had the opportunity to hone her skills with darker skinned individuals who had the tendency towards post inflammatory hyperpigmentation [PIH]. This work has helped her enormously in later years when working with lasers and IPL. Trudy wanted a sea-change and moved to Australia in the early 80's. She settled in Melbourne and has fallen in love with the country and its lifestyle. 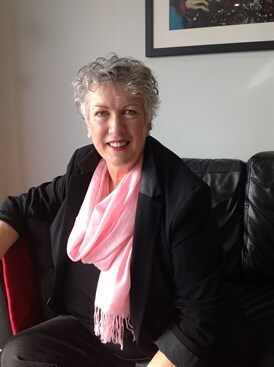 Continuing with her love for helping people with their hair growth problems, and a passion for teaching, Trudy ran a specialist clinic and taught electrolysis at TAFE during the early years of raising her daughters. Keeping an eye on emerging laser technology, Trudy only moved into this area when it finally proved to be a succesful alternative for hair removal [late 1990's]. Using her prior knowledge in hair removal and vascular treatment with electrolysis, she quickly developed clinical skills and moved into teaching as there was little education in this field in Australia. Trudy keeps ahead of the game by traveling overseas regularly to major laser conferences where she catches up with her international colleagues and friends: doctors, scientists and laser practitioners, while updating her knowledge. She also attends all the Australian laser and cosmetic medicine conferences held here annually. She is invited to participate in seminars, workshops, lectures and symposiums held by many manufacturers and distributors, giving her extra insight to the workings of the various devices. After offering in-house training for various manufacturers and distributing companies for years, Trudy opened her own school in Melbourne. Here she consolidated all her years of aquired knowledge and clinical practice. Now, as Fleming Laser, she is busy running Laser Safety courses which are the basis for the follow up of clinical hands-on classes in hair removal, pigment removal, vascular treatment, tattoo removal and skin rejuvenation in its many forms. Trudy has been a guest speaker at numerous conferences over the years in the USA [ASLMS], UK [BMLA], New Zealand [Beauty NZ] and of course all around Australia. Trudy's passion for her work is obvious. She loves what she does and she enjoys sharing the knowledge she has aquired over the many years of working with hair and skin. Trudy loves to continually learn and gain better insight to technology that is constantly changing and evolving, then find exciting ways to impart that information and knowledge to others. Come join her on the ride of your life moving into this exciting area of cosmetic and medical laser and IPL science.